HAMEL, MN--(Marketwired - October 27, 2016) - Tolomatic's new ACSI integrated servo motor creates a space-saving, integrated servo motor/drive/controller electric actuator solution for single-axis applications. Integrating the drive/controller into the servo motor saves space on the machine by eliminating the drive box. Designed for easy-to-use, cost-effective servo control, the ACSI servo motor controller is ideal for replacing pneumatic cylinders and automating other axes of motion. 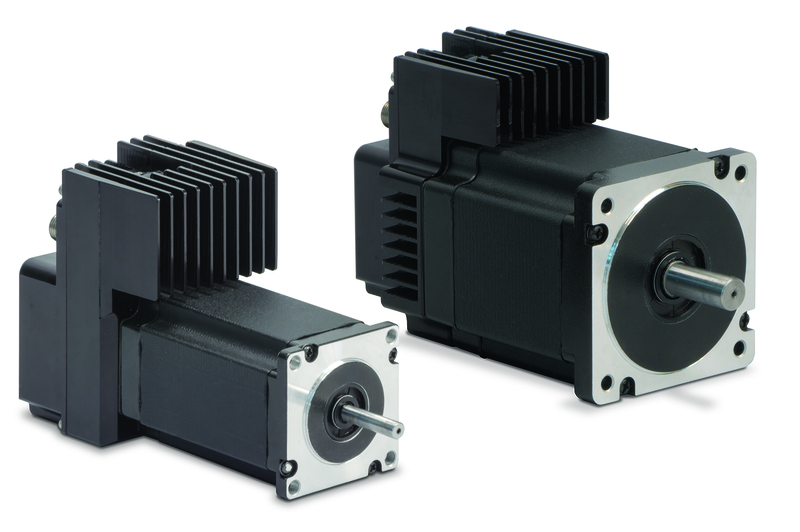 With built-in configurations for all of Tolomatic's electric actuators, the ACSI servo motor control creates linear motion quickly and easily in the desired linear units (mm or inch) via a USB or Ethernet port. Additionally, the ACSI supports a rotary axes and third-party actuator control. Available in two sizes (NEMA 23 & 34), the ACSI features easy-to-use operating modes such as digital I/O index moves, analog position (0-10Vdc or 4-20mA), ODVA™ conformant EtherNet/IP™ and Modbus TCP. Additional features include a standard IP65 rating, industry standard M12 connectors, dual Ethernet ports with LED indicators and a USB programming port. The ACSI is designed to be controlled from a PLC or master controller via 24 Vdc digital I/O, 0-10 Vdc or 4-20ma analog I/O, EtherNet/IP or Modbus TCP. The dual-port Ethernet implementation allows for many drives to be daisy-chained and controlled by a PLC or master controller; EtherNet/IP and Modbus TCP also allows for infinite position capability. "When the ACSI is ordered with a Tolomatic actuator, Tolomatic will mount the motor, configure it for the actuator, and fully test the system before shipping to the customer. Not only does this save customers design and configuration time, it also ensures a very high quality single axis solution from one supplier," said Nick Holmgard, product marketing engineer, Tolomatic. The EtherNet/IP implementation is very robust with ODVA conformance and has already passed an EtherNet/IP PlugFest event. It is an I/O assembly-based implementation with a high-performance integrated switch, allowing the ACSI to live on any network topology including ring topology with Device Level Ring support. Additionally, the ACSI has a keyed Add-on-profile (AOP) and a full suite of Add-on-instructions (AOI) for easy, seamless integration into Rockwell Automation PLCs. For more than 60 years, Tolomatic has been a leading supplier of electric linear actuators, pneumatic actuators and power transmission products for factory automation. Its extensive product line also includes servo-driven high-thrust actuators, servo motors and stepper motors, stepper drives and configured linear-motion systems. Tolomatic's electric linear and pneumatic actuators are used in a variety of industries, including the packaging, material handling, medical, food processing, automotive, semiconductor and general automation industries. For more information, contact Tolomatic, 3800 County Road 116, Hamel, MN 55340. Phone: 763-478-8000 or 800-328-2174. Website: www.tolomatic.com. Tolomatic's new integrated servo motor/drive/controller creates space-saving, all-in-one actuator solutions for single-axis applications Photo: Tolomatic, Inc.